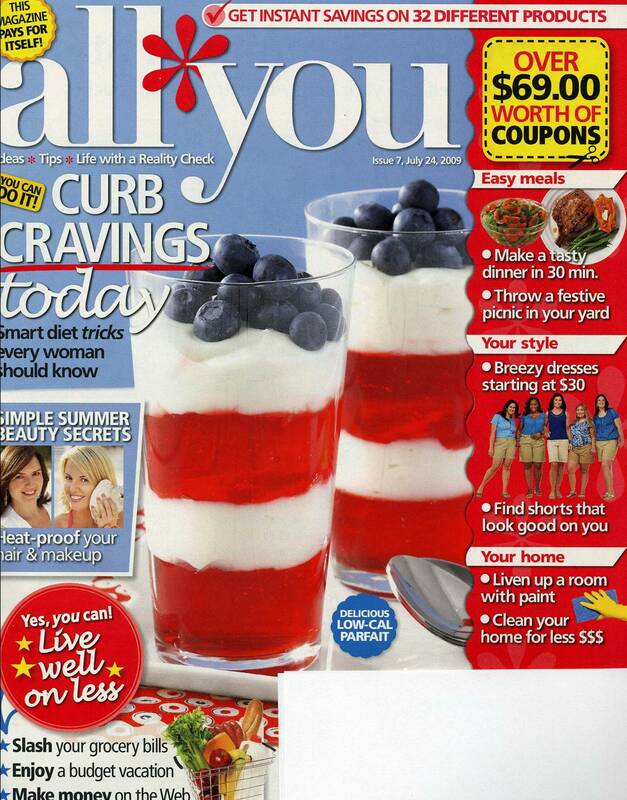 My FAVORITE magazine – ALL YOU has some fabulous coupons which will be coming out in the latest edition! 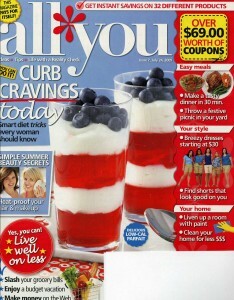 If you have not subscribed yet, I have a fabulous deal for a 2 Year Subscription to ALL YOU magazine for just $17.99! It is the BEST bargain around! Over $70 worth of coupons in July 2009 ALL YOU magazine! Your savings could be even more if your store doubles your coupons! Check out the offer I’m offering here at Bargain Briana for a 2 Year ALL YOU magazine subscription for just $17.99. Questions about your order? Check out ALL YOU FAQ. Hi Brianna. I tried to get a subscription and it closed June 16. Do you host a party each month?